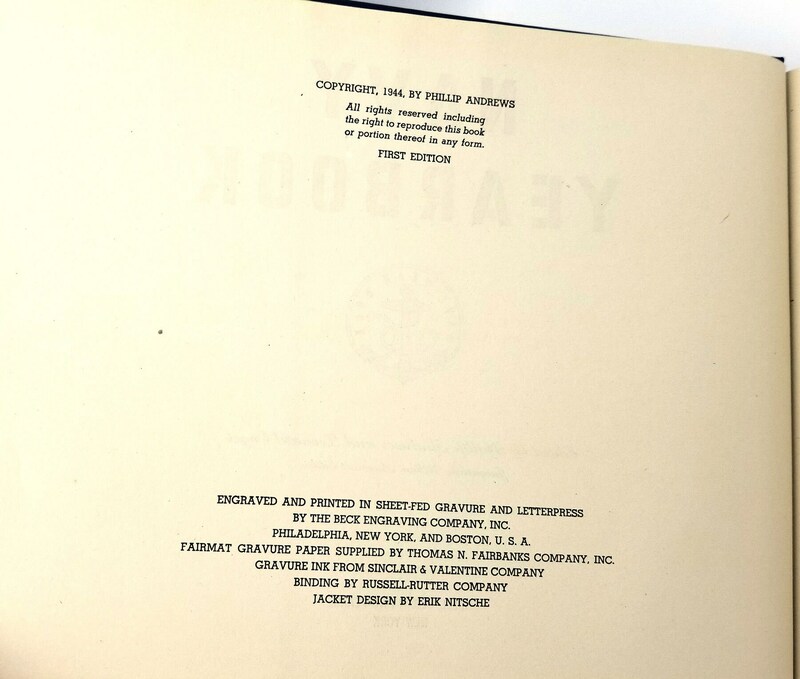 Description: Book is lightly bumped and worn at head and tail of spine; a few soil spots on fore edge of text block; foxing to end papers; rear paste-down has sticker with "paid" stamped on it from "Air News with Air Tech: The Complete Aviation Magazine;" no other marks; binding is sound. Dust jacket has several small chips along edges, with one slightly larger chip at upper front edge, with another at the lower rear fore edge; foxing/spotting to surfaces; rubbing wear to fore edges; not price clipped. DJ has been placed in an archival mylar sleeve. Stated first edition, 1944. 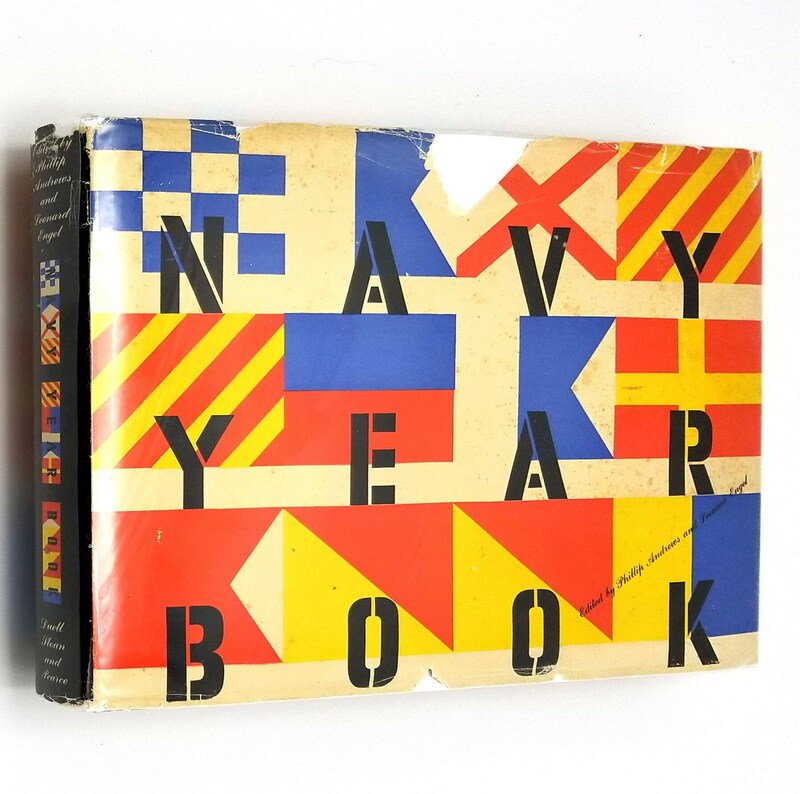 A fascinating and extremely detailed overview of the navies of the world. 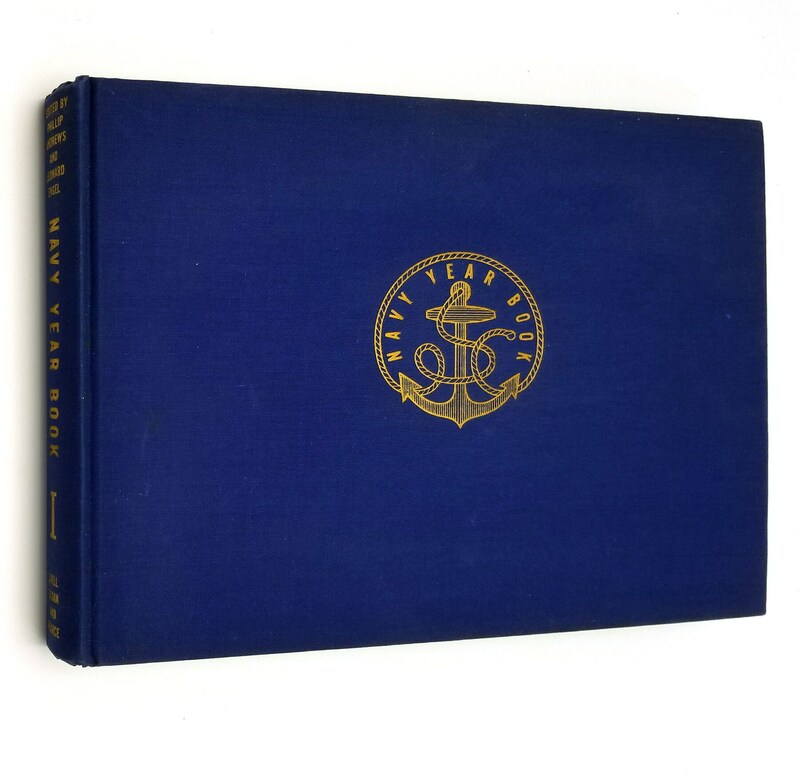 Features extensive photographic documentation of the ships, aircraft carriers, planes, and submarines of the various fleets. 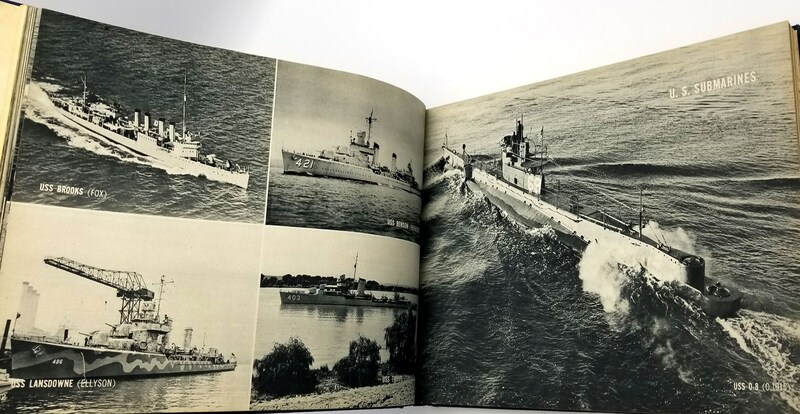 The data section (about 150 pages) gives quite a bit of information, for example, about the type and class of the vessels, their individual names, numbers, builder, dimensions, armaments, and other detailed notes (e.g. Battleships: Montana Class: Ohio: BB68: Philadelphia Navy Yard, etc.). 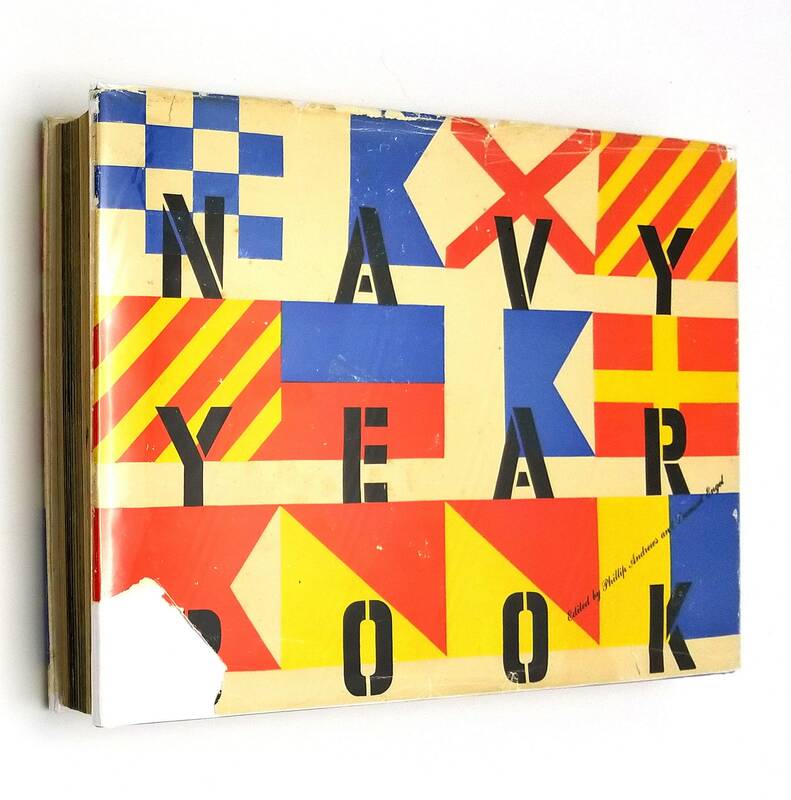 Included are the US Navy, the Army's Navy, the Coast Guard, and the navies of Great Britain, Canada, Australia, India, USSR, France, Italy, Germany, Japan, China, and many other smaller navies. 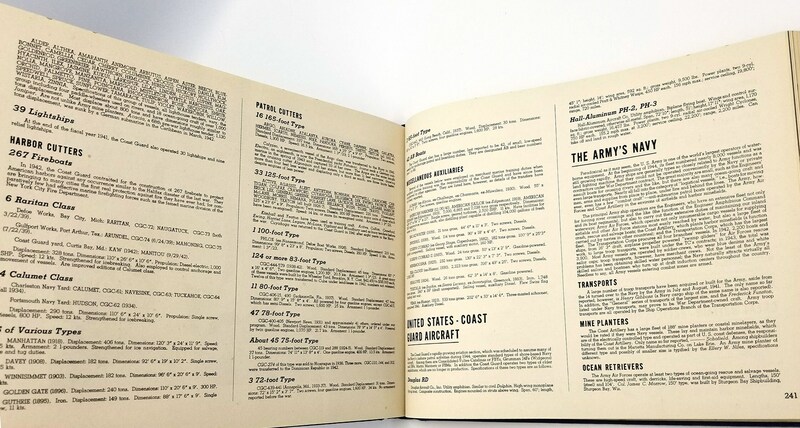 Also included are 17 pages of the "war losses" documenting every ship lost during the war, date, and location. An incredible resource. Size: 12 x 9.25 inches. 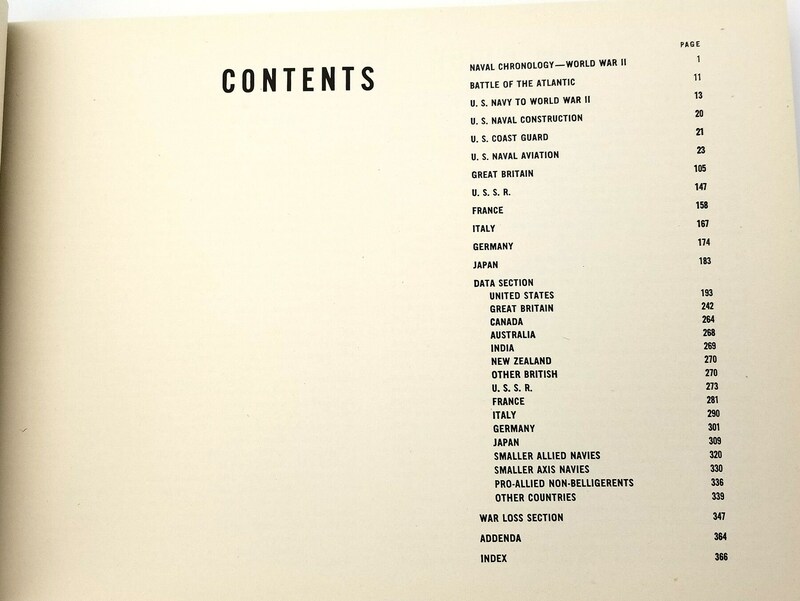 Pages: 376 pages, including index.